Joanna Young does not seem to fear change very much. The spunky redhead first came to Fairbanks from Egypt, where her parents were teaching English and running a school. Raised in Toronto, she knew what cold was. But this was January 2010, a colder-than-average month. The temperature bottomed out at minus 41 degrees as she arrived. "It was a good climate shock and a good culture shock," said Young, 32, who came to study glaciers for a master's degree. Now a doctoral student and lead instructor of a program for getting teenaged girls on glaciers, Young is setting sail on a new adventure. She is now in Argentina, awaiting passage on a ship that will sail to Antarctica. During a three-week cruise through the Southern Ocean with occasional stops on the Antarctic Peninsula, Young and 75 other women will learn about Antarctica and how to be more effective leaders. The program is called Homeward Bound (homewardboundprojects.com.au/). Young was selected from among 250 applicants. She will be the farthest-north researcher on board. The U.S. Geologicial Survey's Alaska Climate Science Center and the University of Alaska Fairbanks' Resilience and Adaptation Program are covering all her expenses. In an interview at UAF before she left, Young said she was excited to learn more about how to be a leader and how to better make plans and execute them. That training is rare for scientists who are more concerned with getting funding to perform science. Young is studying Alaska's glaciers and their incredible ice losses. Since coming to the state, she has worked on Kahiltna Glacier, the Juneau Icefield, and the Yakutat, LeConte and Daws glaciers. 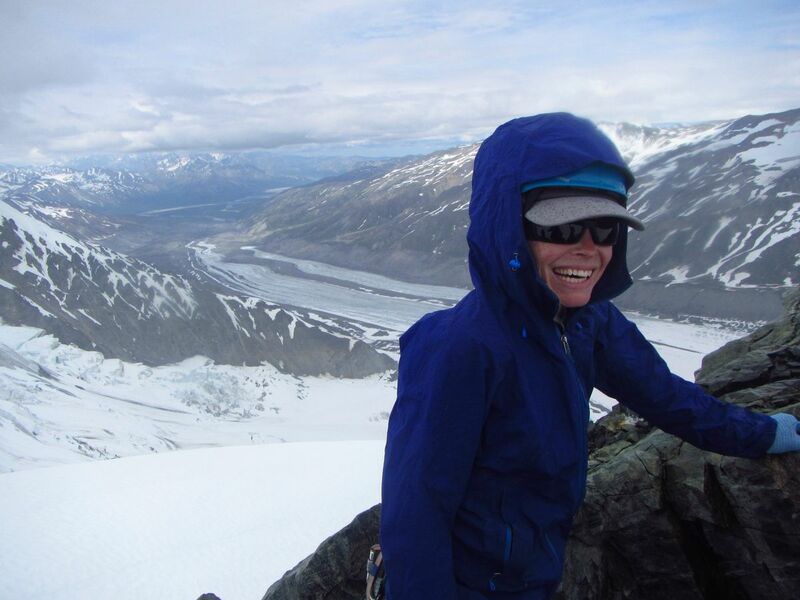 Each summer, she hikes up to Gulkana Glacier in the Alaska Range with a group of nine girls aged 16 to 18. The girls spend 12 days with Young and two other instructors during the Girls on Ice program. The girls are issued crampons, backpacks, tents and other equipment and hike up onto the ice for instruction in glaciology, camping, climbing and living with others. The glaciers open their eyes to how the world is changing, Young said. "Gulkana and Mount Baker (where a version of the program operates in Washington state) have really prominent Little Ice Age moraines (gravel walls from where the ice was 150 years ago)," Young said. "The girls can see it and understand how big the glacier used to be." She also likes seeing girls "come out of their shell. "They start out really overwhelmed — socially, physically, scientifically and technically with all that gear that's new to them," she said. "When we see they're up for it, we put some of them on the front of a rope team, or maybe give them heavier packs. "We also want them to be more confident in a science sense, to be more open to putting their ideas on the line and taking a risk," Young said. "These are the things I also want to get from the Antarctica trip." During her time aboard the ship in the Southern Hemisphere's early summer, Young will watch filmed classroom lectures from conservationist Jane Goodall and oceanographer Sylvia Earle. She will learn about the present condition of Antarctica from scientists onboard. Young is looking forward to meeting so many women scientists. She wonders if this program would have been possible a few decades ago. Though there are still barriers to women in science, she is encouraged with recent developments, like the fact that half the students studying glaciers at UAF are women, a big change from the recent past. "I don't think we're all the way there yet, but the younger generation of girls are starting to see women in science and maybe saying 'I can do that.'"